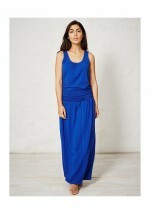 Braintree's organic bamboo skirt features a high low hem detail and easy, pull on waistband. The str..
Easy to pull on, this maxi skirt from Braintree features an easy fold over soft-top waistband and sl..
Brakeburn's burgundy Baby Skirt is made from velvet soft fine cord and sits above the knee. Als..
Brakeburn's navy coloured Baby Skirt is made from velvet soft fine cord and sits above the knee..
Button up skirt in khaki green from Brakeburn with branded metal buttons and large, generous hip poc..
From Brakeburn, an above-the-knee-style cord skirt with a slim-fit style. 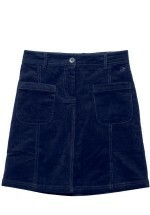 Also includes front pocket..
From Brakeburn, this mid-length style denim skirt comes with vintage-inspired detailing. There's a b..
A simple coral striped skirt from Brakeburn with a tennis influence. It features a cream cord drawst..
Fitted, super-soft and smooth leather-look fabric skirt featuring floral insert with laser-cut detai..
A denim mini skirt is a year-round wardrobe essential. 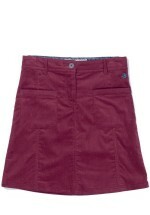 This season's update is the Pepper Denim ..
Woven stretch-cotton twill pencil skirt with added stretch for comfort. Also features fixed waistban..
A-line Shape Machine Washable Concealed Zip Versatility is key and thi.. 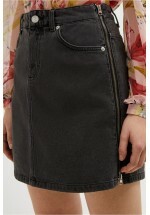 This textured faux leather black Keira skirt from Sugarhill Boutique also features mock zip-pocket d.. Your classic black skirt hero reinvented in black leather texture, the Meet You Half Way Skirt. With..